Being in your forties can be a bit like living in a collapsing building – there’s always something in need of repair. And today it’s all about the eyes. 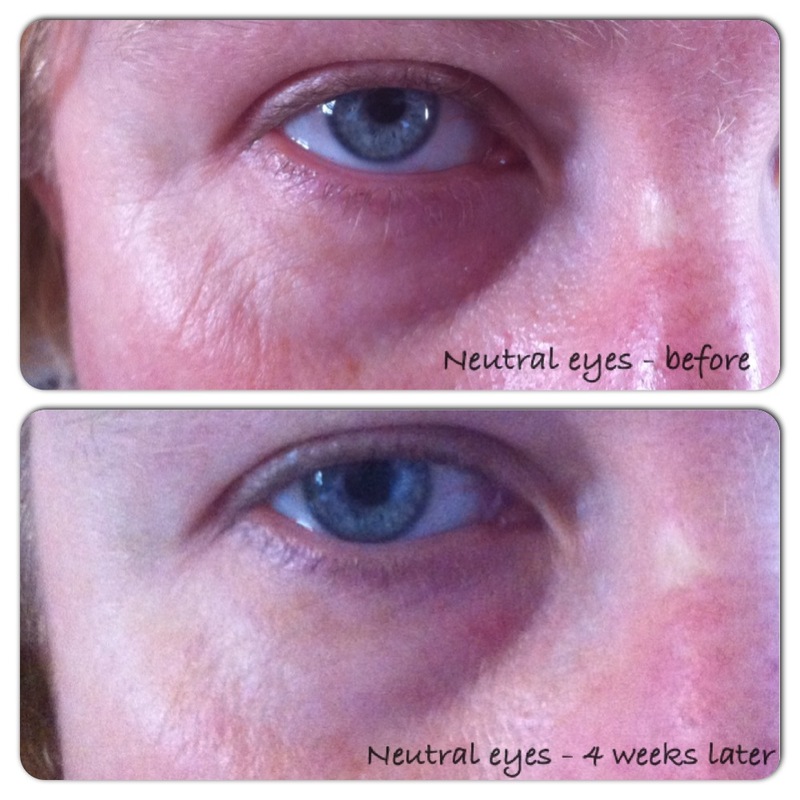 For the last month I’ve been testing out a new eye serum – with surprising results. Stratum C is a skincare range designed for women going through the menopause. These days there’s not much I’m too young for, but this is one of them. But you can never start too early with decent skincare so when asked I was keen to try it out. 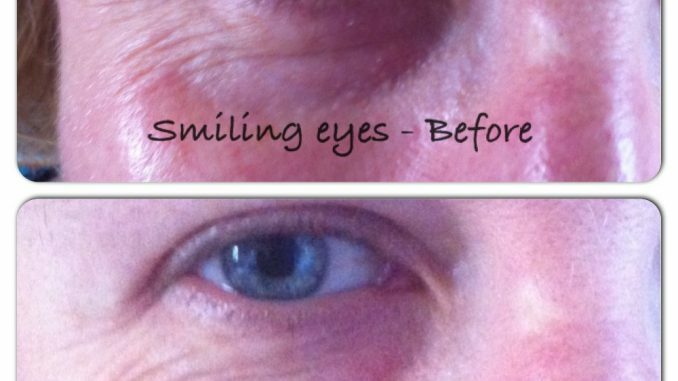 Texture wise, Stratum C Menopause Vitality Eye Serum (to give it its full title) is moisturising, but not so much that your eyeliner is going to drift up to your brow bone. The clear, odourless gel sinks straight into the skin with no irritation. I love the packaging and how this serum dispenses. It’s hygenically sealed within an airtight outer syringe, and when you push the pump at the end, the dose is deposited on to your clean finger. Then press your two index fingers together to distribute the serum evenly, and then pat it around the eye area. This is very much a premium product – the RRP is £54 for a 12ml syringe which the manufacturers say contains at least 100 two eye doses. So if you use it twice a day it should last 50 days, or almost two months. The bottom left picture shows the syringe after 4 weeks of use twice a day – the plunger has been drawn down into its barrel but it’s not at the half way mark so I think it’s fair to say you could get nearer to 3 months’ use out of this product. 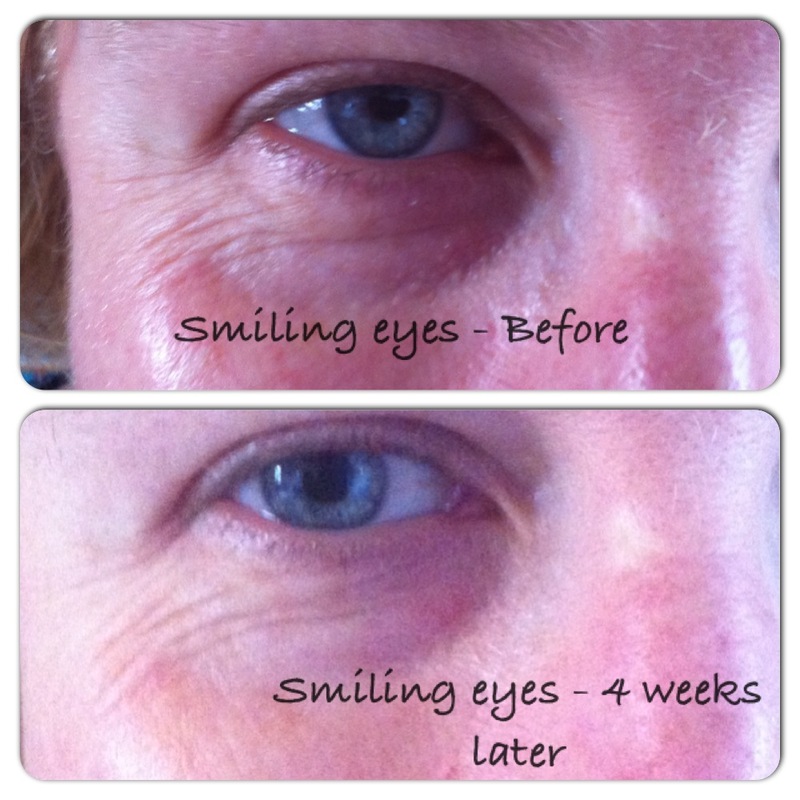 My under-eye wrinkles have definitely softened in a noticeable way. I could tell there was a difference from about week 3 of using the product. I can’t see much change in the darker area under the eye, but that doesn’t bother me because it’s easy to cover that bit up with make up. Wrinkles are harder to disguise so a reduction in them is most welcome. All of these pictures were taken at the same time of day, standing in the same place in my house, with no make up (please don’t mock me for looking ropey) and no filters applied. 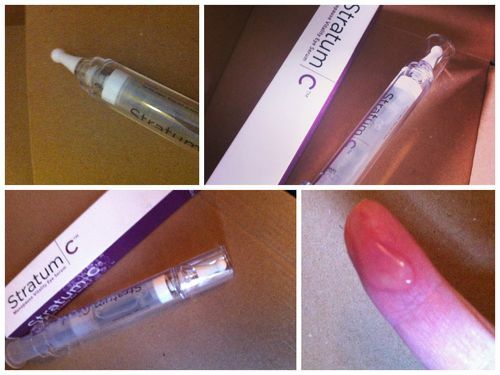 I used the Stratum C serum twice a day every day during this time. So have we found the holy grail – a wrinkle reducer that actually works? On this evidence it looks that way. I’m definitely impressed.